On the 22 March 2019, UM Innovations Sdn. 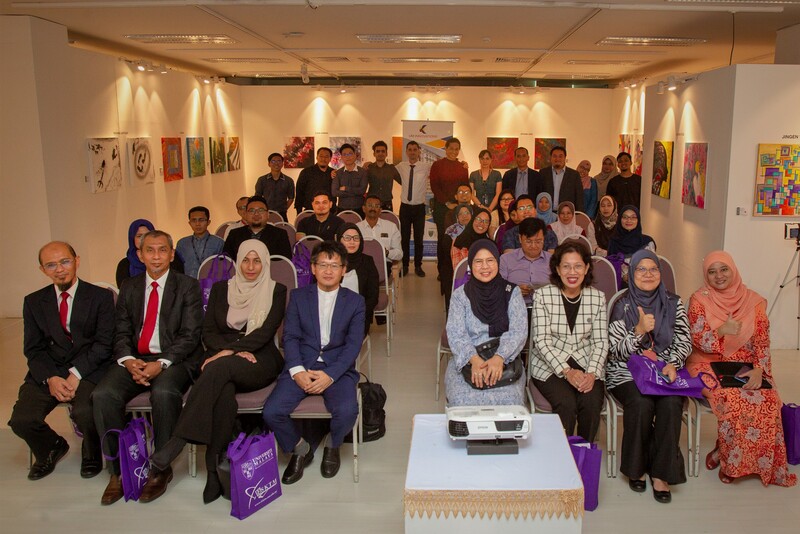 Bhd., a company wholly owned by University of Malaya (UM) organised and held a pre-launch event for its future spin-off company, Fylix, at UM’s Art Gallery. In this pre-launch event, a Memorandum of Agreement (MoA) and Non-Disclosure Agreement (NDA) signing ceremony was conducted between UM Innovations (UMI) and its commercial partner, Discovery Geosolutions Sdn. Bhd. (DGSB). The signing of these two agreements signifies an official partnership being established between the two companies. DGSB is currently an official vendor for PETRONAS, and this partnership is a strategic move by both companies to leverage on their combined strengths to optimally serve the oil and gas industry, as well as other industrial domains. For the signing, UM was represented by Professor Dr. Rofina Yasmin Othman, Associate Vice-Chancellor (Industry and Community Networks), while DGSB was represented by Mr. Mohd Hanafi bin Abdullah, Managing Director of DGSB. Also present at the ceremony were Professor Dr. Kamila Ghazali, Deputy Vice-Chancellor (Academic & International), Mr. Muhammad Taufiq bin Zainal Abidin, Chief Executive Officer of DGSB, Dr. Ram Gopal Rajm, Director of Fylix.Professor, Dr. Maizatul Akmar, Deputy Dean of Undergraduates, Faculty of Computer Science and Information Technology (FCSIT), and also Dr. Wan Safwani Wan Kamarul Zaman, Head Coordinator of UM Commercialization and Innovation Center (UMCIC). Professor Kamila highlighted that UM is committed in being a world renowned university, and commercialisation efforts such as this, is an effective vehicle in improving the industrial perception on the university. Via UM Innovations, Fylix as a business initiative, is focused on commercializing technologies based on Artificial Intelligence, Machine Learning and Natural Language Processing. It has scored and delivered commercial projects for various organisations, including PETRONAS, Employees Provident Fund (EPF) and Hong Leong Islamic. Fylix as a business initiative has proven to be highly successful and profitable with its range of AI solutions, that has competed with the likes of IBM’s Watson and TATA Industries at different levels of commercialization. Fylix is the brainchild of three UM’s academicians from FCSIT, Dr. Ram Gopal Raj, Dr. Aznul Qalid Md Sabri and Dr. Hairul Nizam Md Nasir. Another factor that sets Fylix apart is that, Fylix engineers are all students or alumni of UM (with most of them from FSCIT), ranging from undergraduates to postgraduates. It is evident that FCSIT UM, had been the centerpiece in ensuring that Fylix is a commercial success. PRIDE, a data extractor, that has the ability to convert unstructured data from raw documents, into pre-defined structured templates. PRIDE was an award winner for the 4th Malaysian Oil & Gas Services Exhibition and Conference in 2018 (MOGSEC 2018).